Support community development and conservation to tackle extreme poverty and preserve one of the planet's most unique and endangered environments. Madagascar is the Earth's fourth largest island and is among the world's most significant biodiversity hotspots. Geographically isolated for 80 million years, it is home to an astonishing variety of plant and animal species: The general level of endemism among its flora and fauna is estimated at over 80%, with 8 out of every 10 species found in Madagascar not found anywhere else on Earth, many species yet to be named or even discovered. This represents about 5% of Earth's plant and animal species found within 0.4% of the planet's land surface. The best known is probably the lemur, with around 100 species and subspecies, but they face different degrees of threat through loss of habitat, hunting for bushmeat and capture for the pet trade. Some may even go extinct prior to even being identified. Six lemurs are listed among the "Top 25 Most Endangered Primates". Of around 12,000 flowering plant species, some 10,000 are thought to be found nowhere else on earth. Six of the planet's nine baobab species are native to Madagascar, a seventh being found both on the island and in mainland Africa. Despite being one of Earth's top biodiversity hotspots, Madagascar has so far lost an estimated 90% of its original forest vegetation. Limited livelihood options for the Malagasy people often means traditional ‘slash-and-burn’ subsistence, along with fishing, for land for agriculture and wood for fuel and timber. Protected areas, although important for conservation, have been imposed with little or no community consultation, and negatively impact local people by restricting access to vital livelihood resources, imposing fines, creating more pressure on unprotected areas and not addressing the root cause: forest-dependent communities lack access to alternative resources. Added to that, resource extraction operations of Madagascar’s rich minerals, often dominated by foreign interests, add pressure to deforestation and natural environment and habitat loss, with the remaining forest more and more threatened, fragmented, and unable to sustain life. Madagascar is one of the top three countries considered vullnerable to the effect climate change, which is increasing evident: droughts and cyclones are increasingly frequent and severe, seasonal cycles increasingly subject to erratic change. Madagascar has experienced a 10% rise in temperature and a 10% decrease in rainfall over the last 50 years. Since 2009, political crisis also saw government spending on public services cut 40%, on health cut by 75%, on education cut by 82%, the price of basic food staples like rice double, the value of saleable assets like cattle halved, jobs lost and the trade in endangered species accelerate. Sadly, such increases in poverty and environmental damage occurred at the same time as major cuts in international donor support, which previously formed half of the total national budget. As such, Madagascar is one of the world's least developed countries, and most impoverished, ranking 161/189 in the 2018 UN Human Development Index: 70% of people in live in multidimensional poverty (UNDP, 2011), with 92% of the 22 million inhabitants live below the poverty line of $2 per day (World Food Programme). SEED is the founding member of the Anosy region’s maternal and child health platform as well as an active participant in regional and national committees for water and sanitation, reforestation and biodiversity, child protection, HIV/AIDS prevention and education. SEED has also acted as a consultant to the Malagasy government in the publication of several papers on the state of the environment. Madagascar’s environmental issues impact heavily on the Malagasy people, who mostly work in subsistence agriculture; two thirds live in rural areas, with limited education or secure food sources. Inadequate diets lead to 50% of children under 3 malnourished and suffering retarded growth, with 10% dying (40% in rural areas) before the age of 5 from easily preventable diseases, such as diarrhoea. Poor hygiene also leads to typhoid, polio, acute respiratory infections and trachoma blindness. Just 35% have improved water sources, and just 11% adequate sanitation facilities. Poor health was recognised by the Malagasy government as one of the key challenges to Madagascar's future development in the Madagascar Action Plan of 2007-2012, a national strategy developed in response to the Millennium Development Goals, but the situation became notably worse during this period. As a result of SEED’s work, it is estimated that over 125,000 people have benefited from the projects implemented in southeast Madagascar over the last fifteen years, building a healthier and more educated and skilled region whose socioeconomic progress complements rather than harms the uniquely rich natural environment. The work largely takes place in the Anosy region, focused on Fort Dauphin, and the villages of Sainte Luce on the South East coast. Throughout Madagascar, especially in rural Anosy, women are prevented from accessing paid work due to domestic responsibilities, cultural expectations, and a lack of earning opportunities. As a result, women often suffer the most from the effects of extreme poverty. As a result. in rural fishing communities such as the villages of Sainte Luce, employment and sole family income is largely focused on the male-dominated fishing industry, leaving single and widowed women vulnerable. With global warming, as fishing opportunities are becoming less reliable and increasingly dangerous, there is a clear need to diversify earning opportunities, yet the majority of locals do not complete primary education and have extremely low levels of literacy. To counteract these many challenges, SEED Madagascar created the Stitch Sainte Luce project to suport and train women in producing and selling high quality embroidered products, language and business skills to provide a sustainable income and livelihood. Stitch also provides a rare opportunity for women to learn a new set of skills as well as fostering a nurturing environment where embroiderers provide emotional support for each other and share experiences. This female empowerment project has now led to a thriving independent international business that has supported 100 women, supporting on average 11 people each, with proven benefits for their families' diets, health and education. SEED Madagascar (previously Azafady UK) is a British-registered charity established in 1994 with the ultimate vision of “Communities and ecosystems thriving across Madagascar”. The acronym SEED (Sustainable Environment, Education and Development) reflects the organisation’s holistic approach to needs-based sustainable development projects; all built around the most pressing and directly expressed needs of disadvantaged communities. The vast majority of staff and resources are located in south east Madagascar, with a skeletal staff including SEED Madagascar's Managing Director, Mark Jacobs, in London to manage the scope of the organisation's projects, funding and international-facing side. SEED is responsible for the overall financial management of grants, with ultimate accountability for all SEED funded operations, keeping administration costs minimal to ensure 92% of income is spent directly on the projects for maximum destination impacts. To enhance the capacity of individuals, communities, organisations and governmental bodies in fulfilling sustainable development and conservation goals in south-east Madagascar. SEED Madagascar’s projects are increasingly designed to complement each other and support people’s livelihoods, reduce pressure on the environment and consolidate health improvement in parallel, addressing the complex and interlinked nature of the multi-dimensional poverty faced by people in rural Madagascar. In Madagascar, SEED works on the ground to design, plan, implement, monitor and evaluate projects, either with local staff teams or alongside local partner NGOs. SEED support teams of Malagasy specialists with International staff to provide projects and programmes with the vital expertise and regional knowledge necessary to achieve conservation and development goals. This close collaboration in which community needs assessments, project evaluations, government plans, and organisational identity and capacity assessments are evaluated determines the optimal positioning of projects within the local context, and the optimal role of SEED in providing on-the-ground and remote support to enable strategic goals to be met. To support its work, SEED recruits specialist volunteers to add value to the team in Madagascar, ensuring best practice is developed and the professional skills of the local team are developed. 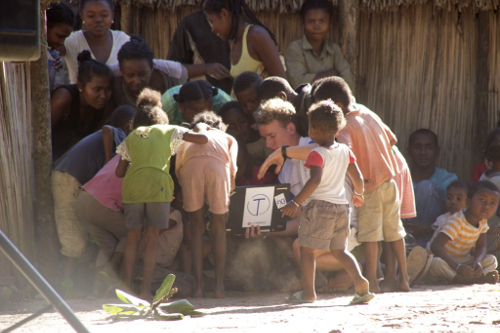 Volunteer to help SEED Madagascar’s sustainable development. Further details below. 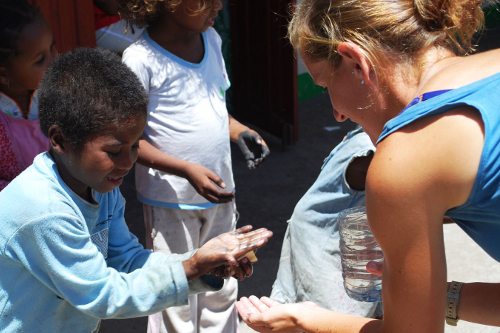 Get involved where it really matters, allowing you to make a real impact in one of the most overlooked regions of Madagascar. 92% of all donations are spent directly on the projects. Volunteers will find it helpful to be in good physical shape. Start: Jan, April, July, Oct | Modules are 2 weeks long | Undertake 1-5 modules. Each two-week module encompasses many different aspects of the Conservation Programme work, allowing individuals to gain an in-depth understanding of an integrated approach to conservation. Based in the beautiful coastal region of Sainte Luce in South East Madagascar, surrounded by extremely rare and threatened fragments of littoral (coastal) forest, one of only three significant areas of this forest type remaining in Madagascar, having been reduced by over 90%. As the forest has both high biodiversity and a heavily reliant local population, the conservation programme works to integrate scientific research with community conservation to build capacity for sustainable conservation efforts. Currently research focuses on biodiversity, with hands-on conservation fieldwork on endangered species including lemurs, reptiles and amphibians, collecting data about species present, their distribution, density, behaviour and habitats. The data is then used to better manage forests, support the local community and protect the species concerned. Volunteers also run regular environmental education classes for local children, and assist with English teaching. Community Development | from £200 deposit + £1395 (4 weeks) to £1,995 (10 weeks) donation + expenses. Start: Jan, April, July, Oct.
A Community Development expedition offers an all-round, in-depth, hands-on experience with a variety of rural and urban development projects combining elements of conservation, construction, community work and education. You'll get to work in the offices in Fort Dauphin to gain crucial experience into the workings of a conservation and development NGO, camp in some of the most beautiful and remote parts of Madagascar, live in a bustling friendly beach town, and have the adventure of a lifetime. Your days could include building and repairing schools and latrines, making furniture for classrooms, delivering health and environmental education sessions, conducting conservation research, or writing blogs to tell donors and supporters about the difference being made! You'll be supported by our superb team of local guides, construction staff and national and international specialists. Construction | from £200 deposit + £595 (2 weeks) to £795 (3 weeks) donation + expenses | Start: Jan, April, July, Oct.
Make a meaningful difference in a short-space of time by assisting a local Malagasy team of skilled tradesmen in all aspects of locally-requested community construction projects. You may be assisting in education by building schools and classroom furniture, or health and sanitation with wells and latrines in rural villages or urban settings, digging foundations, building walls and painting community buildings. Ideal for motivated volunteers looking for a fitness-building outdoors experience that really makes a difference to the lives of impoverished communities. All skills necessary to participate on the programme are taught during the placement: no pre-existing experience is required. Teach English | 2 weeks – 1 year | donation £695 + £95/week to 10 weeks. Volunteers are welcome at any time, but there are no school activities June - October over the summer break. Work on a range of educational schemes, gaining teaching or teaching assistant experience in a least developed country as well as a valuable insight to the many challenges faced by communities living in and around Fort Dauphin, making a real difference to the lives of some of the poorest people on the planet, and one of the most economically and environmentally fragile countries in the world. You'll also receive an all-round experience in the workings of a small but well established international charity, gaining vital skills for a future career in development or teaching. Contribute to the sustainability of local English teaching by training teachers and thereby building capacity, supporting local business people and other members of the community in improving their spoken English to boost trade and tourism, or possibly creating resources that support sustainability for future English lessons. Collaborate with conservation and construction programmes to provide English lessons in more rural communities and have an opportunity to travel to different picturesque regional locations. Requirements: TEFL/teaching experience required for placement for 4 weeks or more (not 2-3 weeks). A DBS check is required for long-term placements over 13 weeks. It must be no more than 1 year old, or can be arranged via the project provider at your own expense, currently £12. Fort Dauphin airport pick-up, drop-off and transfer between project sites where applicable. Detailed orientation covering Malagasy culture and background information. Hands-on training where required for construction work. Support before, during, and after your scheme from dedicated people. 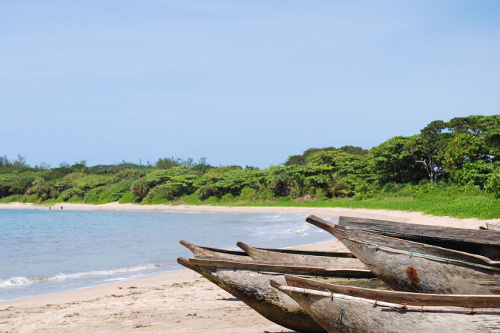 International flights + Internal flights (Antananarivo to Fort Dauphin - return). Personal equipment (eg. tent, sleeping mat). 2009 Prix Pictet - photography commission and coverage by Ed Kashi for conservation. 2001 Sustainable Livelihoods Initiative awarded The Sting & Trudie Styler Award presented by HRH Princess Anne.